Toulouse is a picturesque, Romanesque-styled city in France. With over 440 000 residents, it is a destination that is popularly known as “The Pink City”. Toulouse offers you the chance to explore its historic sites as well as its collection of modern attractions. The city’s top attractions include Garonne River, Pont Neuf and Toulouse Cathedral. 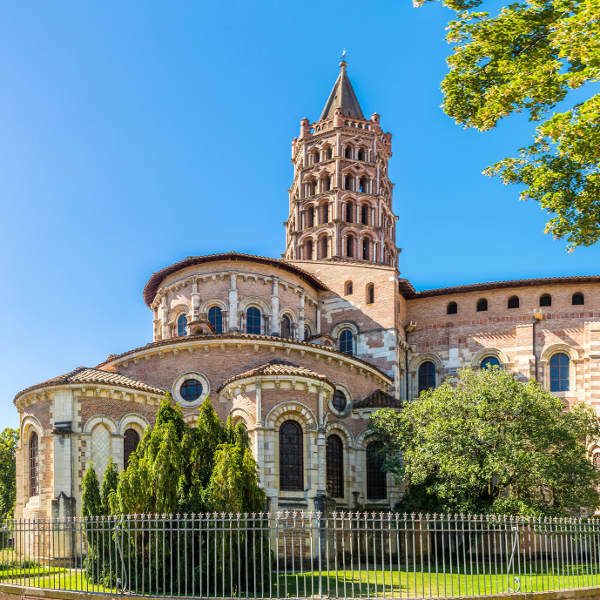 Get ready to enjoy the beauty of this French destination, because cheap flights to Toulouse are now available for a limited time! Toulouse is home to the Toulouse–Blagnac Airport (TLS), which is a 20-minute drive from the city centre. Toulouse sits on the site of an ancient Roman settlement. Follow the paths set by old narrow streets and admire structures like the Basilica of St. Sernin and Pont Neuf. 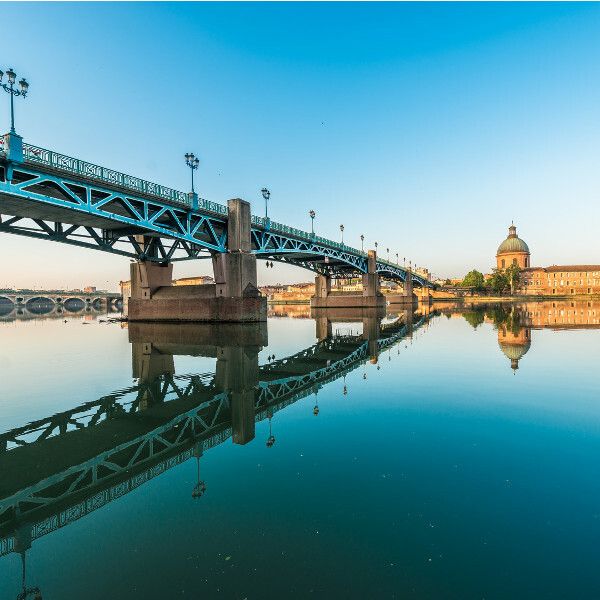 With a location on the Garonne River, you will have the pleasure of gorgeous views during your time in the quaint French city of Toulouse. The contemporary side of Toulouse is worth checking out as well. Explore the space-themed park of Cité de l'espace and admire the modern art at Galerie municipale du Château-d'Eau. The most popular time to visit Toulouse is between June and September (summer to early autumn). Temperatures during this time range from the mid- to high twenties and the rainfall stays around 40mm. This is the peak tourist season, which means that the cost of hotels and attractions will rise, due to the greater influx of tourists, which will also result in the drop in room availability. Consider staying in May (mid-spring) and October (mid-autumn). The rainfall during May is around 60 mm, but Toulouse is beautiful anytime of the year, and the cost of hotel rooms will drop and the availability will rise. The beautiful and charming city of Toulouse is definitely one of those European destinations you should consider for your next adventure. Discover a blend of the past and the present, with several examples of Roman architecture contrasting with contemporary tours and museums. Explore the narrow streets and admire the many redbrick buildings (Romanesque in style), as well as the views of the Garonne River. Toulouse is home to more historic attractions, including the 11th century Saint-Pierre des Cuisines, the 16th century Pont Neuf, and the 18th century Place du Capitole. 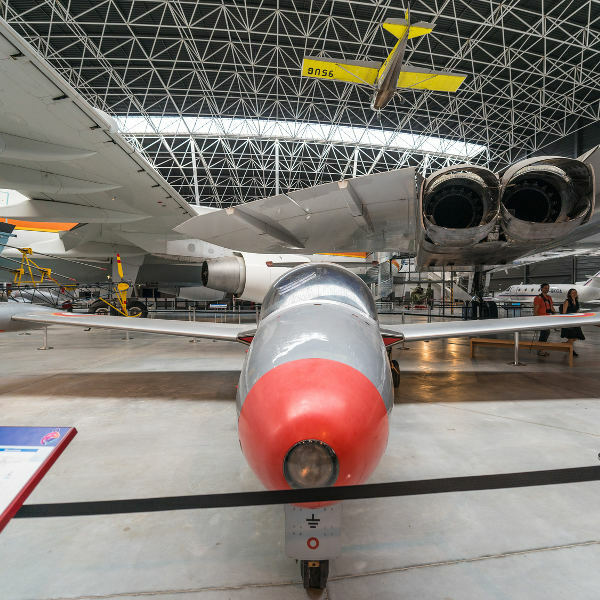 Get back to the present, with a tour through the Airbus factory, as well as visits to the space-themed park of Cité de l'espace, and the art gallery of Galerie municipale du Château-d'Eau. So much more waits for you in the city of Toulouse. Compare several airlines, and book your cheap flights to Toulouse online with Travelstart! Toulouse enjoys a high level of safety, nevertheless, keep your valuables in a safe place. Watch out for scam artists at the train station. Ensure you get all the routine vaccinations before your trip to Toulouse. You may need vaccines and medicines for hepatitis A, hepatitis B, and rabies, depending on where you go and what you do while in France.